Ladies and Gentlemen, it’s time for everyone’s least favorite game … let’s play Adventures in Web Hosting! It’s been a while since I’ve written about web hosting, and I would have liked it to be a while longer. The topic is dull and the customer service and business implications are difficult. But just as with our clients, we need to make sure our web sites are running perfectly—and we’re paying the right amount. The issue recently came to a head. Adventures in Web Hosting happened. There’s a happy ending here, by the way, not only for us but for you. Read on. Three years ago, we shifted our web operations from shared hosting to a dedicated server. At the time we stayed with the same company we’d been with for ten years, so as of our latest adventures in web hosting we’d been at 1and1 for thirteen years straight. We never really “needed” that dedicated server, by the way. PC-VIP Inc.’s total traffic load is a few thousand pages each day, and a properly-run server can handle that easily, even when shared by a few hundred web sites. But as I told you at the time, we shifted to the big firepower to get better customer service from 1and1. Three years is a long time on the Internet. A few months ago I decided it was time to look into 1and1’s cloud server offerings. Those adventures in web hosting weren’t fun; to my horror, it turned out that 1and1’s technical people understood their own service less than I did. I’m not talking about the sales people, either; this was the server geeks. Last month I restarted my latest adventures in web hosting. Eventually, I decided the best option was to move our business to Siteground. You can visit Siteground by clicking this link, or the picture at the top of this article (full disclosure: Siteground may pay us a commission if you buy hosting). As I said, web hosting changes over time. At Siteground we’re back on a shared hosting platform, paying one-eighth of what our dedicated server cost. Here’s the rub: our Siteground shared hosting runs faster a lot faster than the dedicated server did at 1and1. That’s kind of amazing. In fact, it almost shouldn’t be possible. Big win. But getting there took too much work, and moving the hosting was actually the easy part. Part of Siteground’s speed advantage is their integration of performance features webmasters normally need to set up themselves. 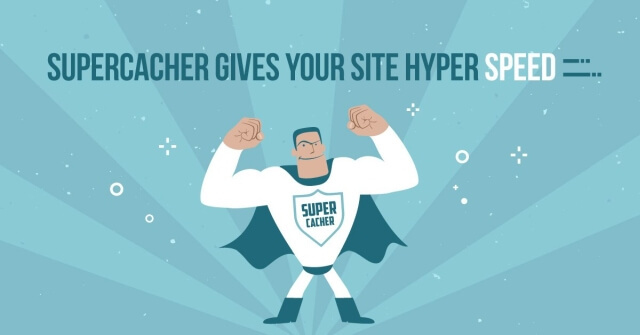 Siteground Supercacher is tweaked to do a better job than any software you can add, for example. And Siteground also integrates internally with CloudFlare’s Content Delivery Network. Problem is, because of our traffic patterns Supercacher—which runs only one way—actually made Answer Guy Central slower. And Siteground’s way of using Cloudflare destroyed our SEO; Google completely de-indexed us for almost two weeks. And those adventures in web hosting were only apparent because I was checking. Believe it or not, I’m not blaming Siteground. The way Siteground makes servers fast depends on a technique that geeks call inheritance. Inheritance works in a very specific way, and once designed it’s rigid. Designed well, inheritance is a best practice that makes sense. Sometimes, for many people, forced standards can be a good thing. But after all is said and done, this becomes a matter of customer service. 1and1 lost us after thirteen years because their customer service had become atrocious—even when we were paying a lot extra to get it. Siteground is proud of their great customer service, but you still need to know and ask the right questions. Bringing us back to where we started. There’s a happy ending here for you. Just click this link and ask; The Answer Guy will host your web site at Siteground, for free. Seriously, free. Of course, just as Siteground’s magic tools work best when you follow a few rules, our free hosting has some strings attached. But you won’t mind them. Intrigued? Of course you are. But that’s what adventures in web hosting are all about.